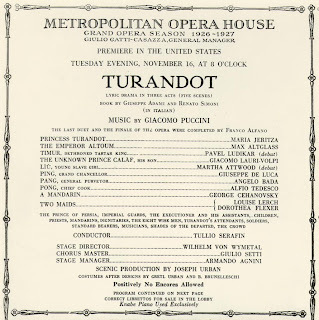 On this day in 1908, Arturo Toscanini made his MET debut conducting Aida. It was opening night of that season with Louise Homer as Amneris and Enrico Caruso as Radamès. Also making her debut that night was Czech soprano Emmy Destinn as Aida. Born Ema Destinnová in Prague, Destinn [R.] went on to sing the US premiere of D'Albert's Tiefland a week after her debut. 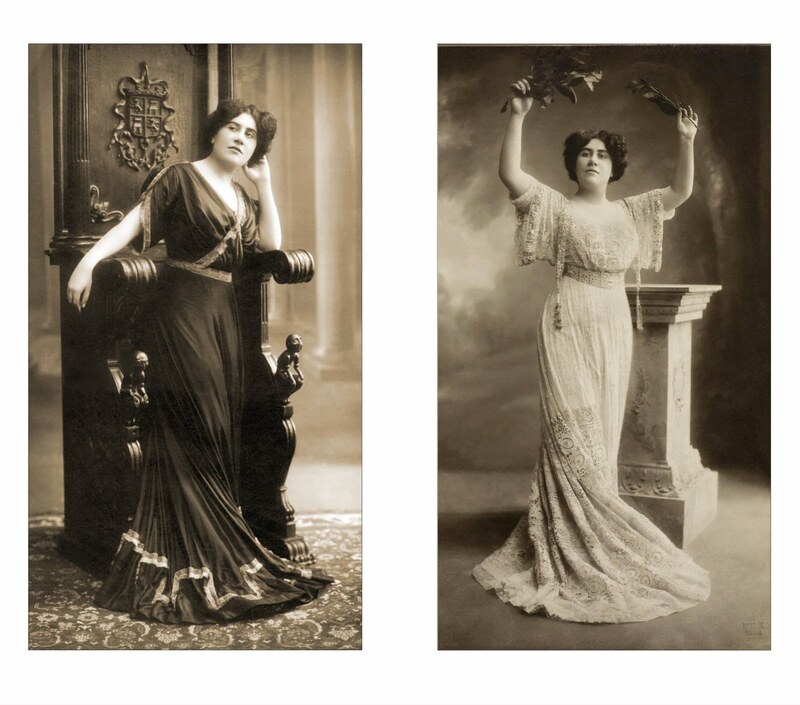 She would continue to sing at the MET regularly until her final performance with the company on December 27th 1920. The General Manager at that time was Giulio Gatti-Casazza. Another US premiere happened on this day - this one in 1926. Puccini's last opera Turandot premiered with Maria Jeritza in the title role. The Calàf was Giacomo Lauri-Volpi with Martha Attwood making her debut as Liù. ...The audience was exceptionally demonstrative. Applause repeatedly interrupted the progress of the opera. Curtain calls were more than will be numbered here. There was every feature of a triumph. 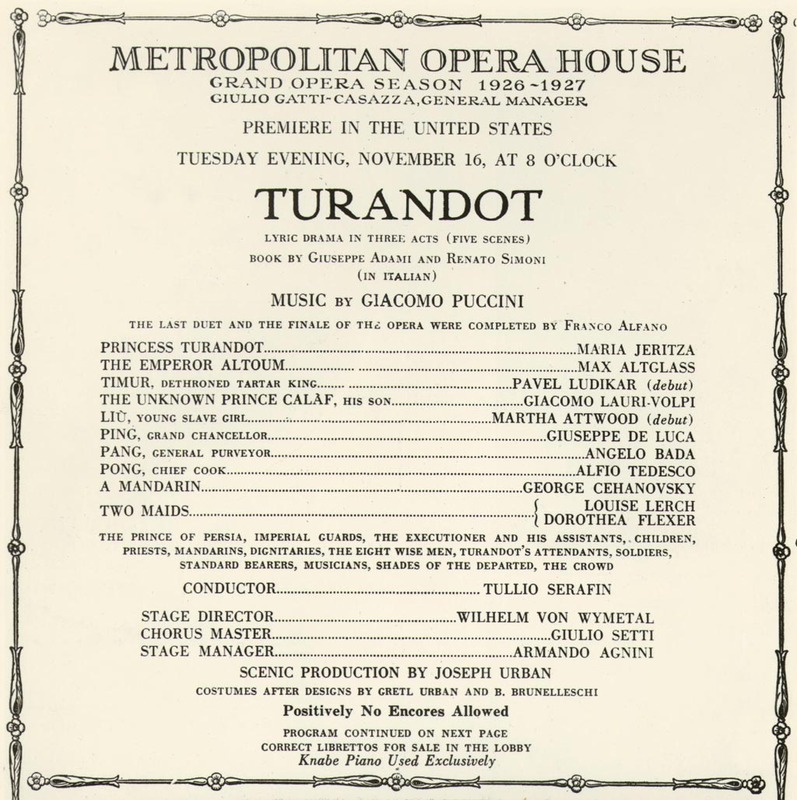 The American premiere of Turandot was in fact a triumph of the occasion and of the opera company which had so lavishly mounted a work of qualities various. It was a triumph which may repeat itself some five or six more times this season. But a second season, if it should occur with Turandot, would tell another story. As a matter of fact, Turandot ran for 12 performances that season. Link: Facts and photos provided by the MET Opera Database.